Michael Lynagh is recognised as one of the great fly halves of rugby, renowned for his ability to read and control a game. A highly decorated international career, Lynagh played an instrumental role in Australia’s Tri-Nations Grand Slam in 1984 and the successful 1991 World Cup campaign. His respect within the team and among the Australian supporters was a key contributing factor to Michael being captain in 1993 until his international retirement in 1995. When Michael Lynagh retired from international rugby union after 11 years, he had played 72 times for Australia and scored a world record 911 points, as well as holding the Australian record for the most points in a single International match, 28. Following his international retirement Michael set a precedent for the ascent of the professional era when he signed for Saracens in 1996, helping the club win the Tetley Bitter Cup in the 1997/98 season. His last minute match drop-goal to win the game against fierce rivals Newcastle is a moment that rapidly became Saracens folklore. 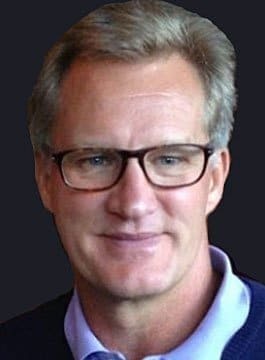 Life after rugby has seen Michael Lynagh become a well-respected TV pundit, working as a principal analyst for Sky Sports as well as working for ITV during the 2011 World Cup. Further to his broadcast work, Michael has also written for many UK based national newspapers, most commonly the Daily Mail. Michael is a highly adept presenter, whether speaking to a corporate or non-corporate audience, and similarly skilled as an after-dinner and motivational speaker.